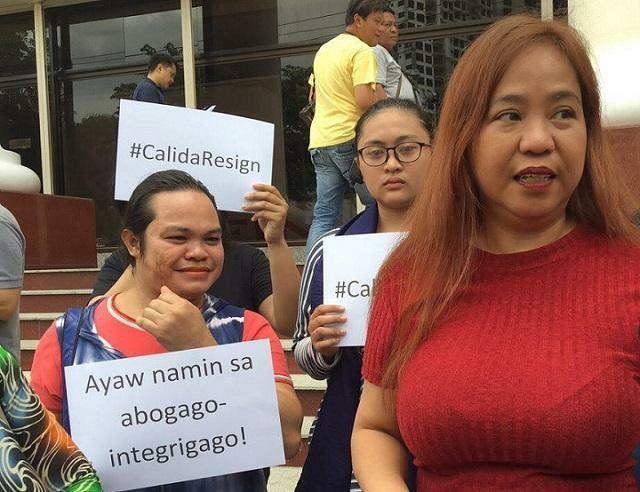 A vocal supporter of Chief Justice Maria Lourdes Sereno, Jocelyn Marie Acosta-Nisperos filed complaints against Solicitor General Jose Calida for corruption and illicit affairs including graft, malversation, misconduct and divulged the alleged affair to a 22 year old mistress. Filed in the Office of the Ombudsman, the retired businesswoman said Calida should be prosecuted for filing Quo Warranto to Sereno, which is unconstitutional in nature. She also disclosed Calida affair to a young woman and accused Calida used the public fund worth P1.8 million to her advantage. Nisperos was one of the founders of the Silent Majority, a critical to Duterte administration who also backed the candidacies of Mar Roxas and Leni Robredo in the 2016 polls.